Duro-Vinyl Numbers: 4in Gothic. 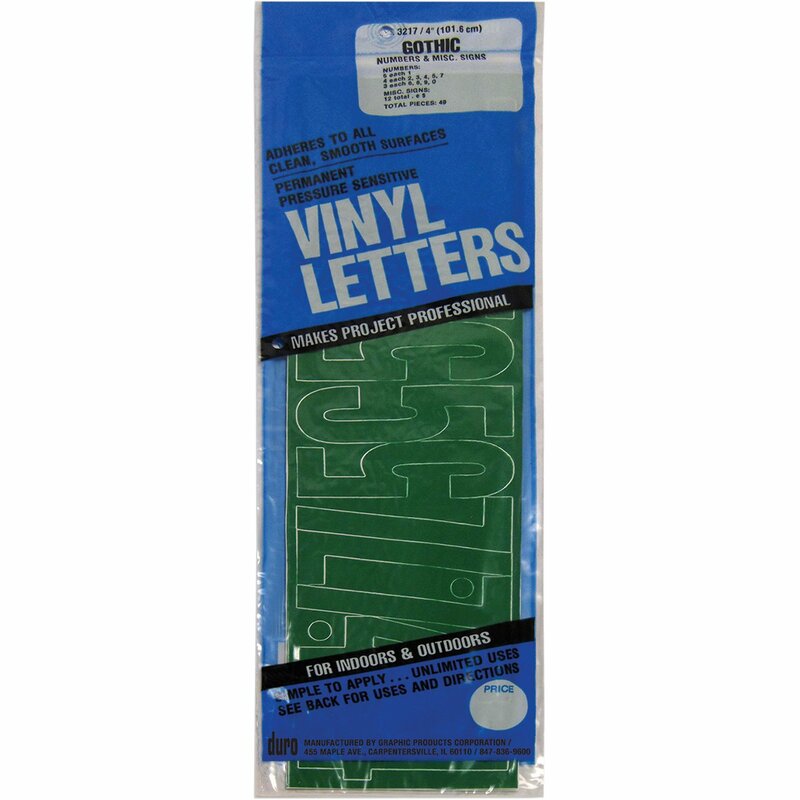 These vinyl letters are great for all clean and smooth surfaces where you want permanent lettering: glass, metal, plastic and fiberglass which makes them perfect for mailboxes, windows, boats, campers, vehicles, posters, signs, lockers, wagons, bumpers and much more at home, school and the office. This package contains forty-nine pieces: five 1s, four each: 2s, 3s, 4s, 5s and 7s, three each: 6s, 8s, 9s and 0s and twelve symbols. Available in a variety of colors: each sold separately. Made in USA.